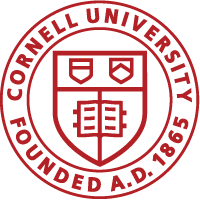 Cornell strongly encourages individuals who have experienced, have knowledge of, or have witnessed gender-based harassment, sexual harassment, sexual assault, domestic and dating violence, stalking, sexual exploitation, or other forms of sexual and related misconduct committed by or against students, staff, or faculty to report the incident immediately to the University. By contacting the University’s Title IX Coordinator or any Deputy Title IX Coordinator by telephone, email, or in person during regular office hours. See contact information for Title IX staff. Submit an incident report online. By contacting the Cornell University Police Department (CUPD) at (607) 255-1111 or 911 for emergency assistance. The University strongly supports a complainant’s desire for confidentiality or decision not to pursue resolution under Policy 6.4. If the complainant decides not to pursue resolution under Policy 6.4, the University will honor the complainant’s request if doing so does not impact the University’s ability to provide a safe and non-discriminatory environment for all members of the University community, including the complainant. Regardless of whether the complainant requests confidentiality or decides not to pursue resolution under Policy 6.4, the Title IX Coordinator will assist the complainant with reasonable and available accommodations, which may include academic, housing, transportation, employment, and other accommodations. (See Interim Measures for more information about accommodations and protective measures). These accommodations will vary depending on the nature of the reported prohibited conduct and the wishes of the complainant regarding confidentiality. If any such accommodation impacts the respondent, the respondent will be provided with written notice of the report, which includes, as known, the date, time, and location of the alleged prohibited conduct and the underlying factual allegations. Therefore, certain accommodations may not be available if the complainant wishes to maintain confidentiality. Students should be aware that all disclosures of gender-based harassment, sexual harassment, sexual assault, domestic and dating violence, stalking, sexual exploitation, or other forms of sexual and related misconduct to a staff or faculty member will be reported, as required by Cornell Policy 6.4, to the Title IX Coordinator. All Cornell offices and employees who cannot guarantee confidentiality will maintain your privacy to the greatest extent possible. The information you provide to a nonconfidential resource will be relayed only as necessary for the Title IX Coordinator to investigate and/or seek a resolution. The Title IX Coordinators will maintain privacy to the greatest extent possible, but are not confidential resources. For confidential help, please see the list of confidential resources.